Food Photography : Making Clients Lick Their Lips! 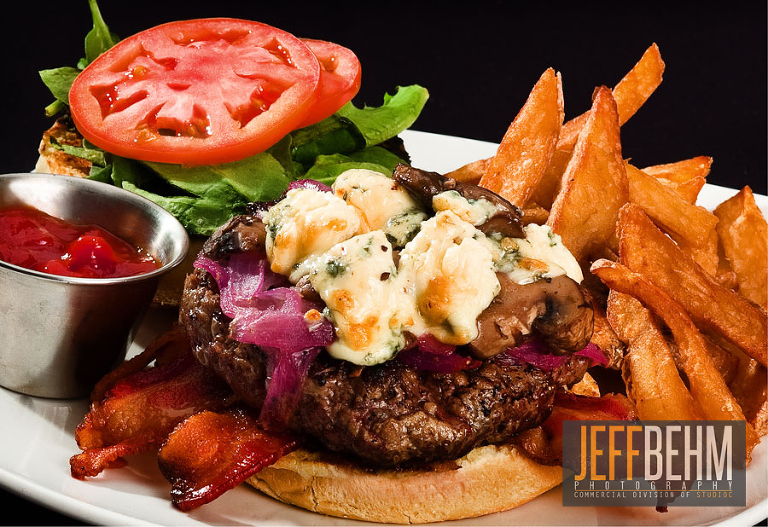 The Cellar Door Restaurant in Downtown Frederick commissioned a series of new photographs advertising their location and menu. What a great opportunity it was to get to know Richard and the friendly staff at the Cellar Door. The Cellar Door is located at the corner of Church and Market, and as the name implies, is downstairs. Our goals were twofold – to show the newly redecorated dining areas, as well as the outstanding menu available. 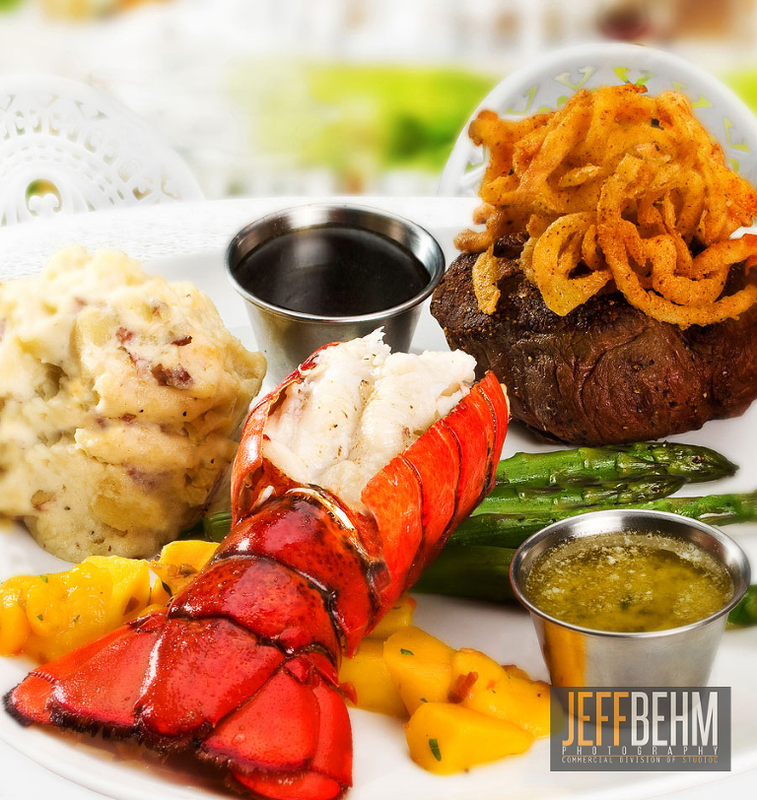 The Chef had a number of items in mind for the shoot, from the excellent Surf ‘n’ Turf, with it’s lobster tail and petite filet mignon, to the blue cheese burger known as the Cellar Burger, Lunch Specials and Happy Hour items. Both assistant Liane and I had the opportunity to sample some items, too, although if you know food photography, most of what we shoot is inedible because it’s made for cosmetic purposes, which means many things but mostly comes down to “pretty for pictures, but don’t eat”. The selected images were then taken to Imagination Center in Frederick for printing of weather resistant, laminated display posters for use in their new sidewalk stand. If you’re in the area of Church and Market, take a look, or better yet, stop in and tell them if you like the food photos!